“Breathing difficulties are the commonest cause of acute admission to hospital. A variety of diagnostic investigations are required, both for acute and clinic assessment. 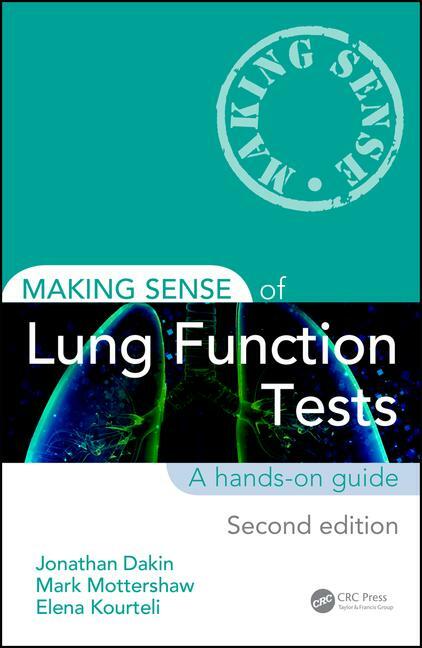 Making Sense of Lung Function Tests, Second Edition familiarises both trainees and more experienced clinicians with the interpretation of a range of respiratory parameters. It places lung function in a clinical context using real-life examples and provides invaluable hands-on guidance. For this second edition Consultant Respiratory Physician Jonathan Dakin and Consultant Anaesthetist Elena Kourteli are joined by Mark Mottershaw, Chief Respiratory Physiologist from Queen Alexandra Hospital, all contributing a broad range of expertise and perspectives. Together they have updated the book throughout and added new chapters including an algorithm for interpretation of pulmonary function tests, exhaled nitric oxide (FENO) and cardiopulmonary exercise testing.